When it comes to watches dedicated to the selective and rigorous sport that is Polo, The first that would probably spring to mind is the iconic Jaeger-LeCoultre Reverso (created in 1931 especially for Polo players). 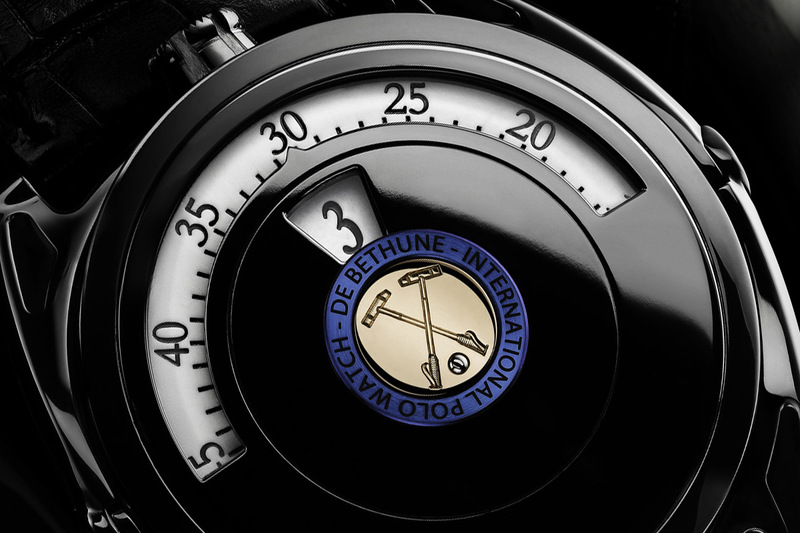 However, when De Bethune comes with the idea of partnering with the Princely Polo Cup, the needs are clear: creating a watch that can withstand the violent impacts it is liable to sustain on the wrist of the rider wearing it, without losing the legibility and the DNA of the brand. The solution is now alive, in the name of the De Bethune DB27 Digitale Polo Edition, with its extremely resistant stainless steel case. Usually, watches dedicated to Polo feature a protective cover or a rotating case (like on the JLC Reverso), in order to prevent any damages on the dial and hands – take a look at a Polo game and you’ll understand the violence of such a sport. However, this solution prevent the wearer from taking a look at his watch and thus, to look at the time… something quite sad for a watch, don’t you think? For the first time, De Bethune sponsored a polo tournament, the De Bethune Princely Polo Cup held in Vaduz on August 29th and 30th. 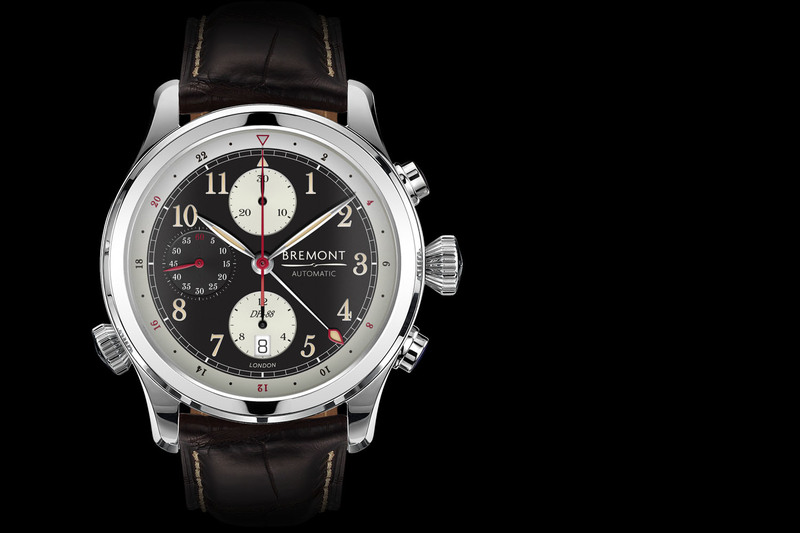 Thus, the creation of a dedicated watch was a natural continuation. 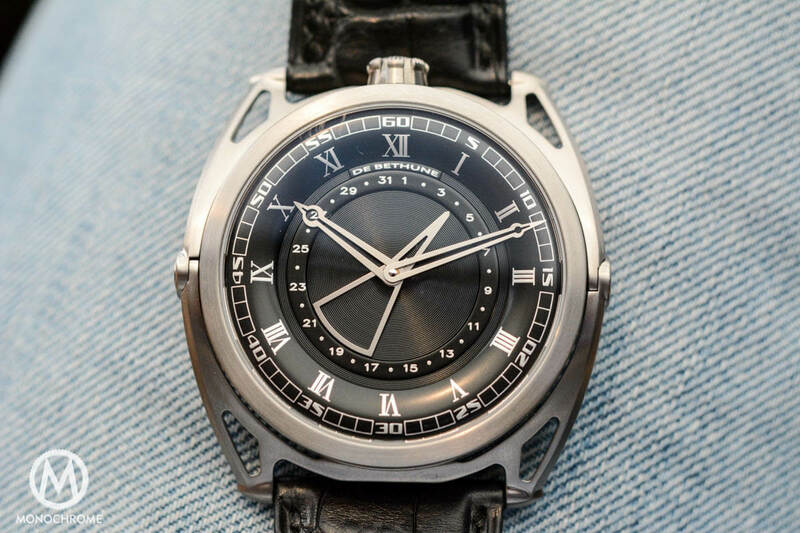 However, the guys behind the brand (David Zanetta and Denis Flageollet) are not from those who hide their watches – a protective cover was not an option, neither a poor legibility of time. 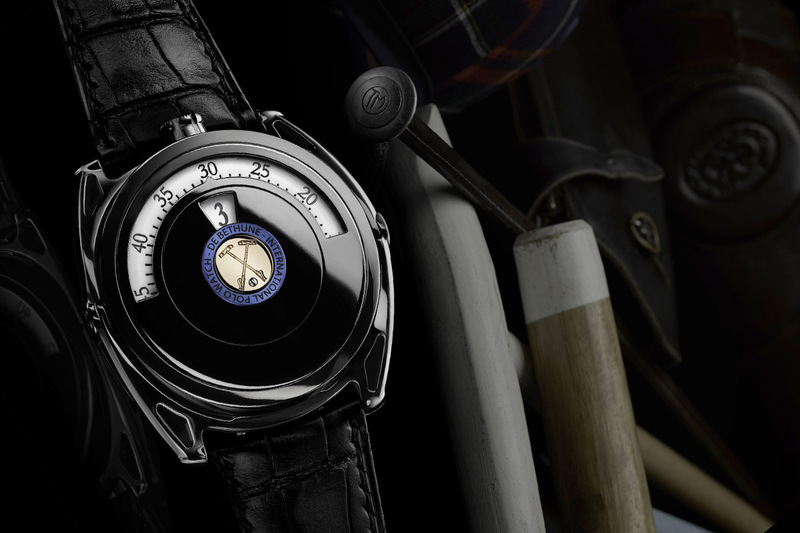 The solution comes with the De Bethune DB27 Digitale Polo Edition, a watch that is both equipped with the same kind of display than the DB 28 Digitale and a super resistant case. 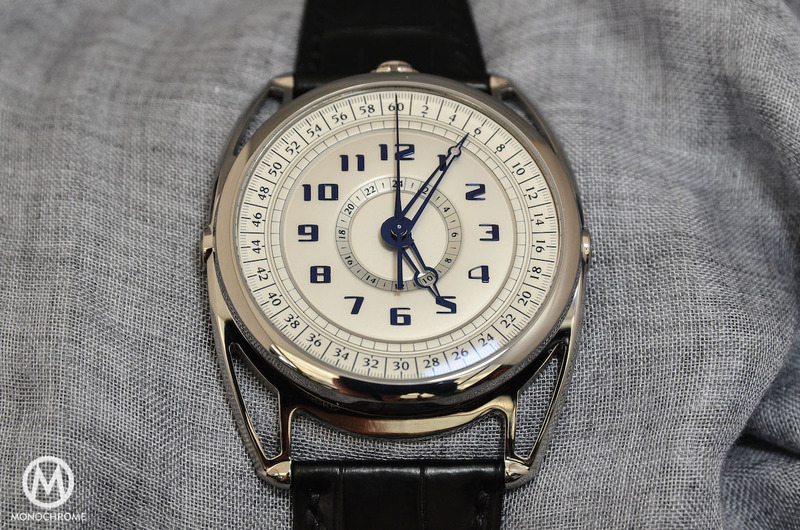 The solution for creating a resistant watch is double. First, the zones indicating time are limited to an aperture in the middle, with an instant jumping hour and an arch from 9 to 3 that displays the minutes on a rotating disc. With this solution, there’s no large and fragile dial to protect. Then, the case is made in an innovative material – well a classical material with an innovative treatment to be precise. The whole case (including the floating lugs) is made of black polished hardened steel that is then coated with black DLC. 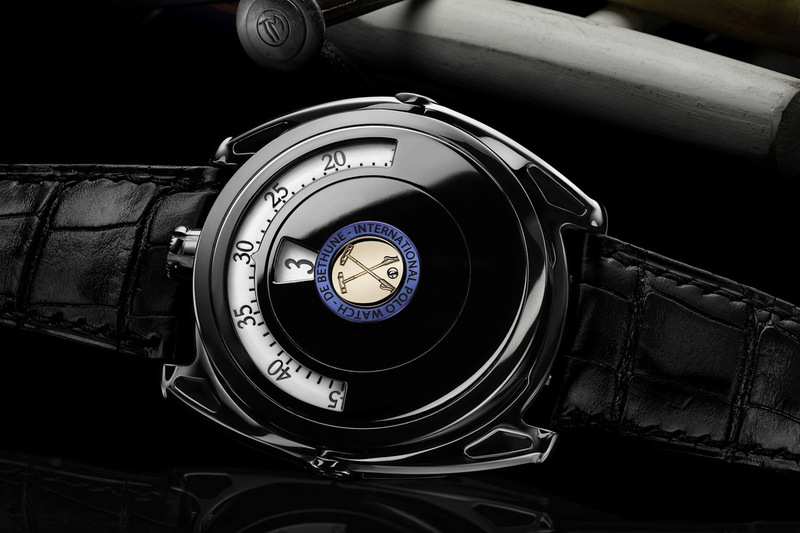 While classical stainless steel has a a Vickers value of just under 1,000 and sapphire crystal a resistance of approximately 1,800 Vickers, the case of the De Bethune DB27 Digitale Polo Edition claims a resistance of 5,000 Vickers. 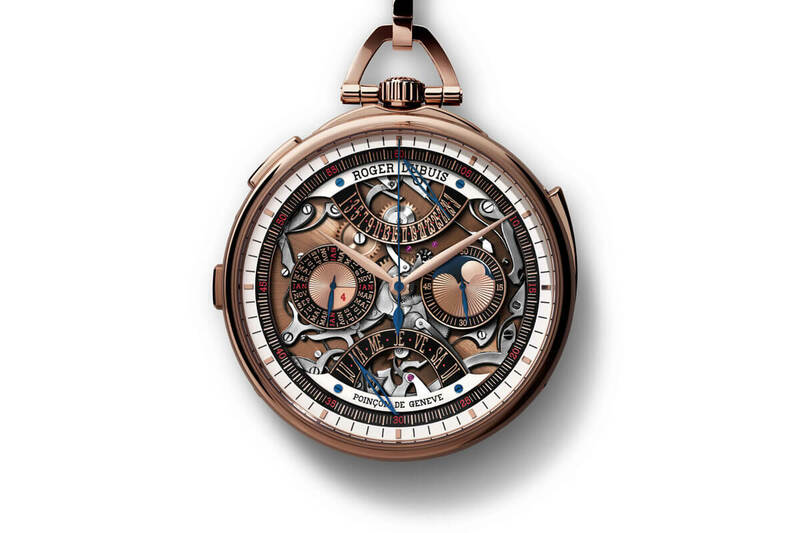 In the center of the 43mm case sits a pink gold medallion hand-engraved with two mallets and inlaid with a polished white gold ball, and circled with a blued and bushed titanium ring. To power the De Bethune DB27 Digitale Polo Edition, we found the self-winding Calibre S233D, with a 5-day power reserve, a Silicon/white gold balance wheel, a titanium/platinum oscillating weight, a silicon escape wheel and the actual attention to details of the brand, as every of the 350 parts of the movement are hand-finished with great care. 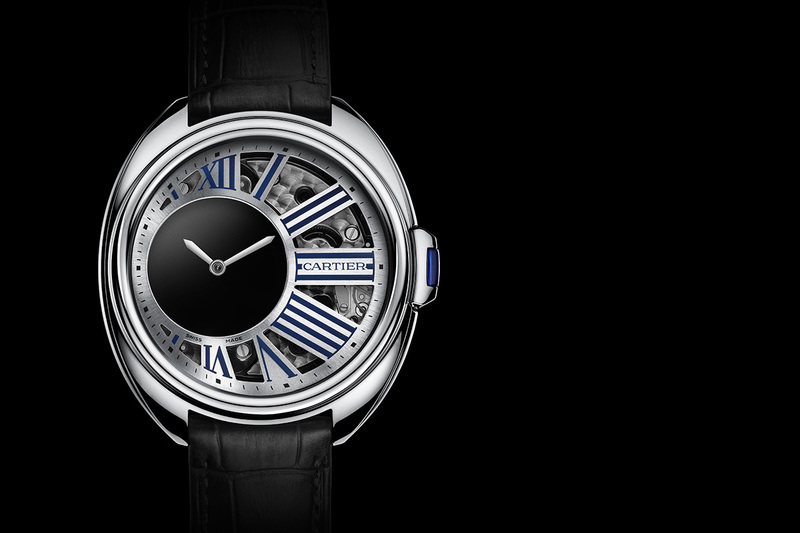 The De Bethune DB27 Digitale Polo Edition is a limited edition of 10 pieces, priced at CHF 60,000 (before taxes). www.debethune.ch.